Raw honey is a natural super food. What makes raw honey better as compared to pasteurized or creamed honey? The answer is that it has not manipulated in any way. The difference is that raw honey is honey in its purest form, Tamarack Jack's Honey comes straight from the beehive giving you the most natural and beneficial form of honey. Depending on where honey comes from it can vary in color and flavour. Ranging from very dark and bitter buckwheat honey to white and sweet wildflower honey, the antioxidants and vitamins will differ depending on what kind of nectar the bees have ingested. Tamarack Jack's Honey is gathered by our bees from our surrounding elements that are alfalfa, wildflowers, willow, and dandelions. 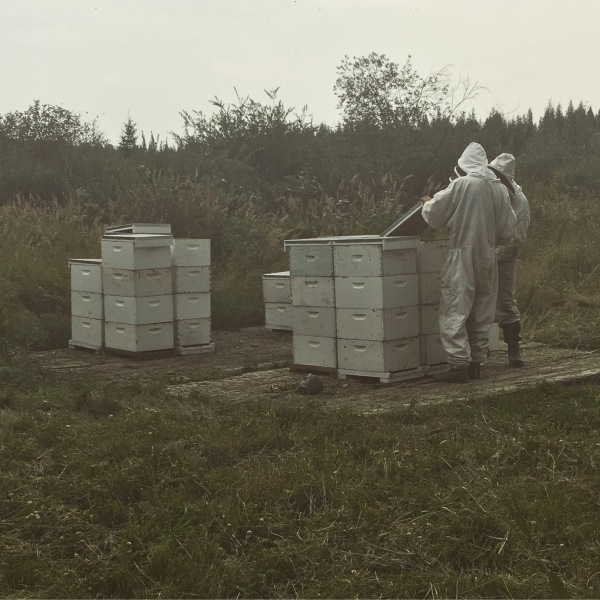 We chose our location due to the fact that canola and other chemical and pestide sprayed crops are not present, giving our bees a better chance at life. It remains unchallenged, however, that no matter what kind of honey it is, raw honey is undoubtedly the best for you. Energy Booster : Raw honey is natures energy booster due to its carbohydrates; providing energy as well as strength. The glucose found in honey absorbs quickly in the body to give you immediate energy. The fructose in honey, on the other hand, is absorbed at a lower rate to give you sustained energy. Honey aids in keeping the body's sugar levels constant instead of spiking, which results in an energy crash. Topical Uses : Raw honey is anti-viral, anti-fungal and anti-bacterial making it a natural healing aid for cuts, scrapes, rashes, ulcers, burns and sores when applied topically. Honey uses the glucose and fructose to absorb water into the wound allowing it to dry out the wound and inhibit and deter infection caused by bacterial growth. Raw honey is also a humectant that pulls moisture from the air and binds it, making it a good addition to natural creams and moisturizers. Immunity: Raw honey is also full of antioxidants which help to boost a body's immune system. Made up of approximately 5000 enzymes along with a full range of vitamins, 22 amino acids and 27 minerals, raw honey really is a natural super food. 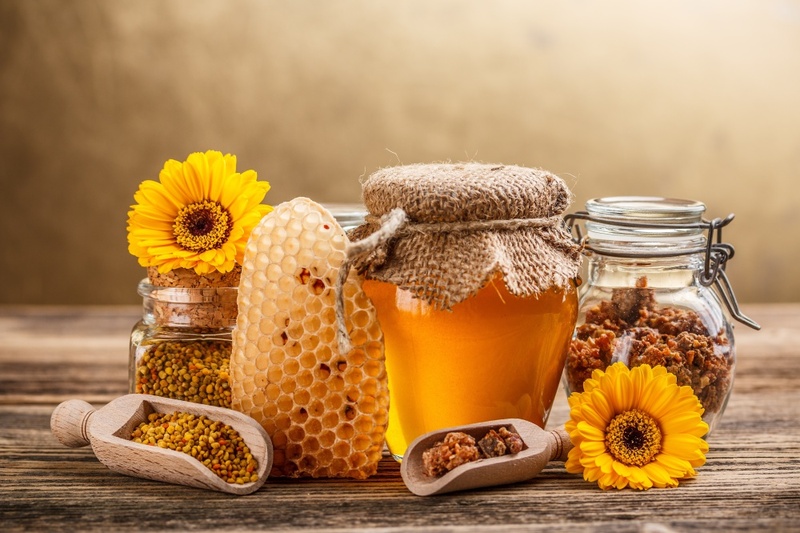 Modern science is proving that raw honey can be used for prevention and/or treatment of a number of health issues including: ulcers, gastrointestinal disorders, cough and throat irritations, blood sugar regulation and even cancer. Although honey is not a cure, it has been found that the antioxidants immediately increase the antioxidant levels in the body's cells when ingested. These then decrease capillary permeability and fragility, scavenging oxidants and inhibiting the destruction of collagen in the body. Weight Loss: Unlike refined sugar, raw honey contains no empty calories, therefore it can help to suppress appetite eventually promoting weight loss while still allowing you to enjoy something sweet. Cholesterol Fighter: Raw honey is free of cholesterol. In fact, adding small amounts to your daily diet can help to keep cholesterol in check at a healthy level. This comes from the antioxidants in raw honey that prevent cholesterol from being moved out of the blood and into the lining of the blood vessels. Daily consumption of raw honey could raise the levels of protective antioxidant compounds in your body. Although we can usually be found at a local Farmer's Market, we believe everyone should have the ability to purchase our honey! We offer shipping to those of you far and delivery to those of you who are near. Please contact us today at [email protected] to order your Tamarack Jack's Honey.